Over the past 7 years, we’ve tried many different web hosts, optin plugins, social media tools, and other blogging resources and we think the ones listed below are the best! 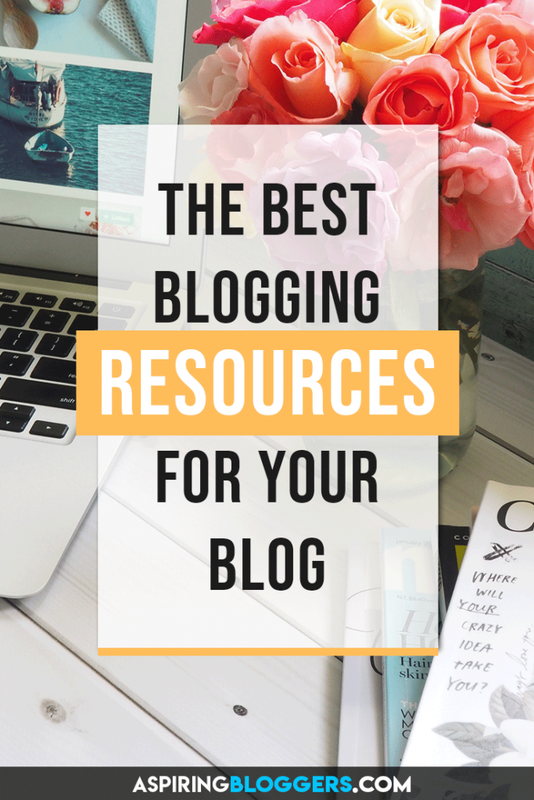 We hope these resources help you get one step closer to turning into the aspiring blogger you wish to be. We’ve tried 5 other web hosts and we’ve had problems with each one of them until we tried Siteground. From our experience, Siteground has the fastest server speeds and the best customer support team that is willing to help you any problem that you may have. Siteground also makes creating your blog super easy! They have a one-click WordPress install feature that will create you a WordPress site within minutes. You can learn how to do that in our guide on how to start a blog. In terms of pricing, Siteground is super competitive and gives new customers a 60% discount for their first 1 – 3 years of blogging (depending on how many years you sign up for). It comes to $3.95 per month with the discount. Claim your discount down below. If Siteground is the best web hosting service for new bloggers, then WP Engine would be the best web hosting service for professional bloggers and businesses that are using WordPress. WP Engine’s servers are designed specifically for WordPress which means they are optimized for speed and you won’t find another web host that’s faster. The only catch is that they’re a bit more expensive than other hosts at a price of $29.95 but you really do get what you pay for. Sign up for WP Engine in the link below. ConvertPlus is an amazing and affordable way to build your subscribers list. We love this product because it doesn’t require you to pay monthly like OptinMonster or Sumo does. You pay one flat price and can use the plugin for a lifetime access to awesome features. We feel very strongly about this tool for Pinterest users! Since we started using it, it helped us gain a significant boost of repins and also helped us schedule our pins so we don’t have to sit around pinning manually. For a huge kick-start of a new Pinterest account, Tailwind has something called “Tribes” that you can join which is essentially groups of people in the same niche who share each others posts. It’s very similar to Pinterest Group Boards except some Tribes don’t require you to ask for permission to join. Tribes are a feature that makes Tailwind totally worth the investment and it will surely help you get a much bigger blog exposure via repins..
MiloTree is another plugin we use to increase our Pinterest and Facebook followers. Once activated, a slider will come pop out when your readers scroll through your posts and it’ll ask them to follow your social media accounts. You can enable this feature for Pinterest, Facebook, Instagram, or your optin box using MiloTree. We consider this the best social sharing plugin available! Grammarly is a grammar-checking tool that helps you fix more than 250 different grammar errors. Unlike other spellchecks that just… spell check, Grammarly tells you when you’ve made contextual spelling, punctual, sentence structure, or style errors by underlining it in red. We really don’t know what we’d do without Grammarly! We rely on it to check for mistakes on the fly. It’s definitely a great tool for bloggers who aren’t very good at writing. You can choose to get the free version which does a lot on its own or the premium version which corrects even more grammatical errors. A monthly subscription is $11.66/month if you pay annually or $29.95 if paid on a per month basis. Monster Insights Analytics – This plugin integrates Google Analytics into your blog. It also prevents your site from tracking your own page views so the results are more accurate. Backup WordPress – This plugin lets you create complete backups of your site so that you can restore it when your site crashes or gets hacked.